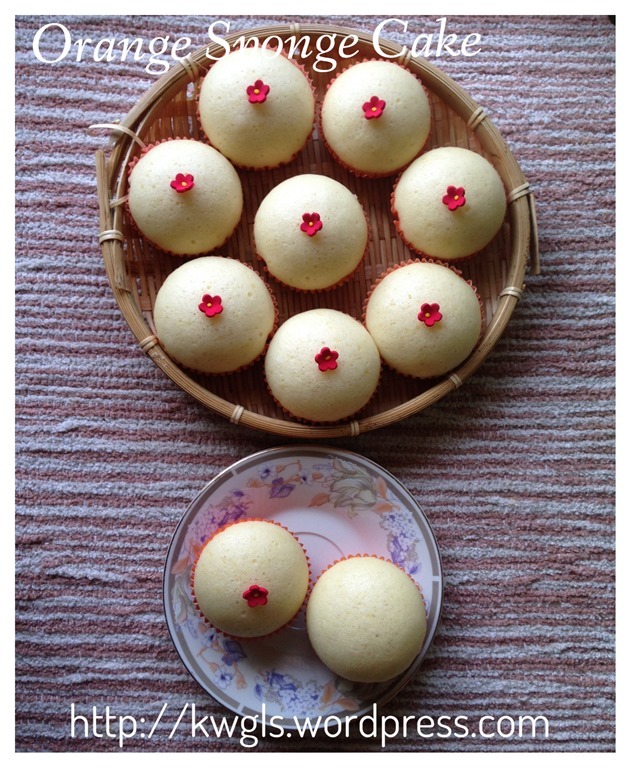 Decided to use 2 eggs to prepare some steamed cake for the family after many days of eating cakes and breads. 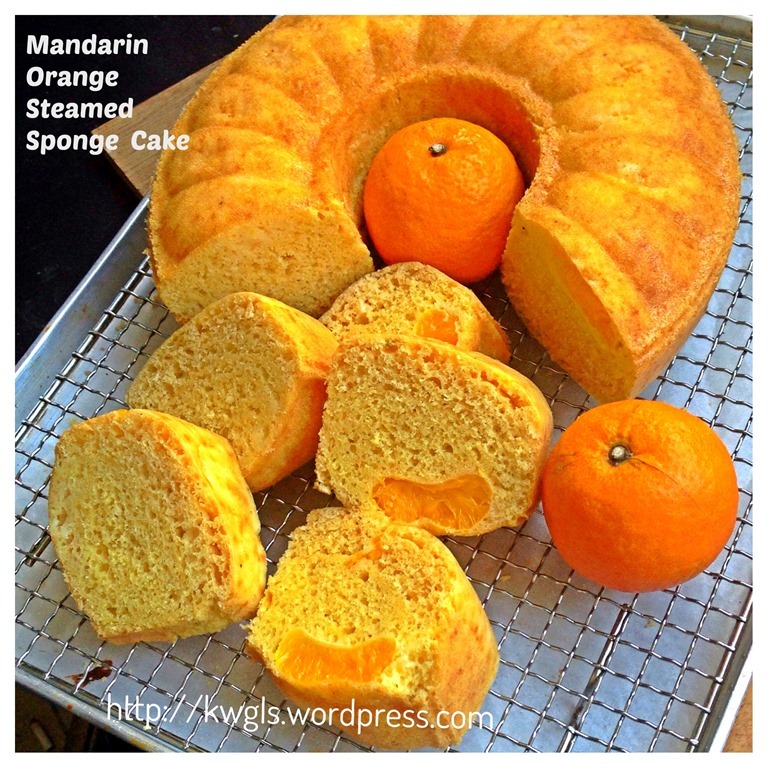 Have use this recipe but substituted mandarin oranges with oranges. 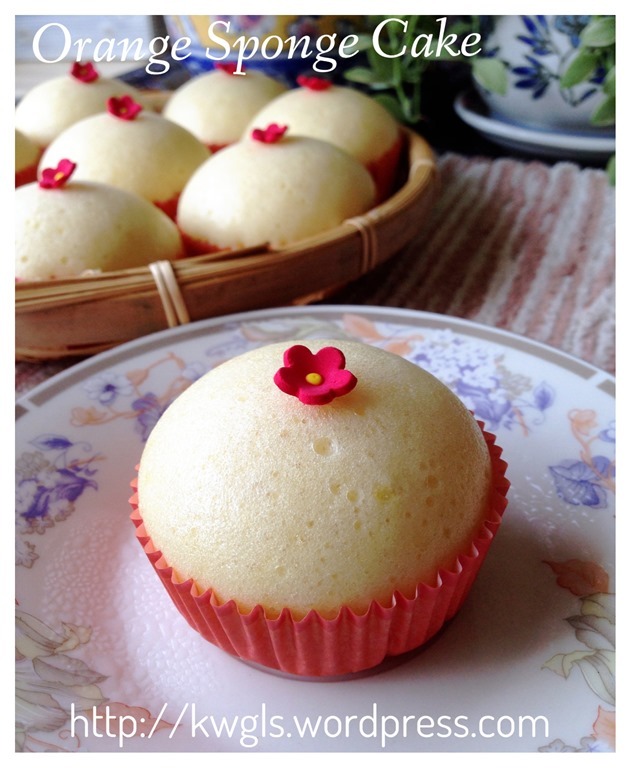 In addition, use the cuppies to prepare.. A less oilier choice. If you are interested, you can refer to the recipe below. I told myself I must get rid off some mandarin oranges at home. During Chinese New Year, most Chinese families will have lots of mandarin oranges as it is considered as an auspicious fruit bringing luck to the families. Same with my families, usually, we will have purchased at least 20-30 mandarin oranges for prayers, for decorations even for gifts to the elders when we went visiting. It suddenly come across my mind that why don’t I used this to prepare some steamed sponge cake. Chinese New Year is usually a feasting season with lots of high calorific cuisines being served. Be it cakes, cookies or dishes, they are all generally of high fat content. 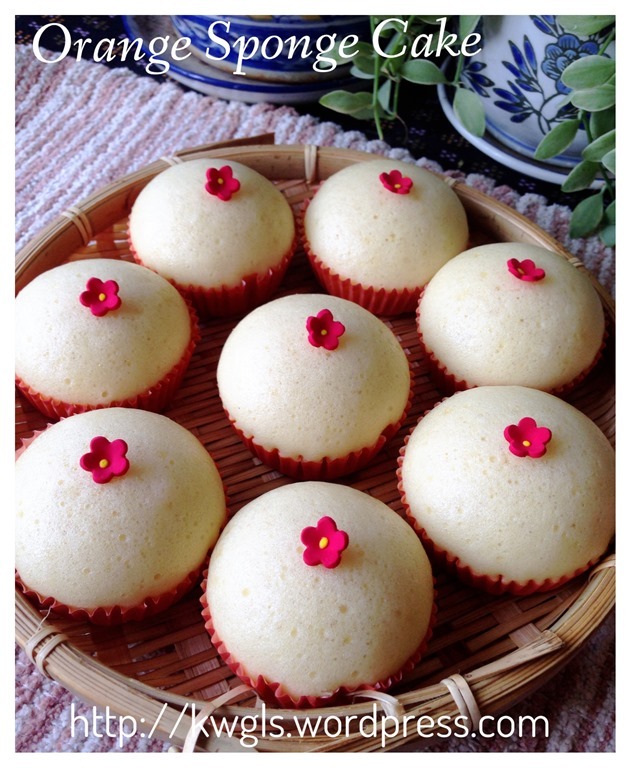 Therefore, to balance the excess calories intake in the past week, it is time to have simpler food and steamed cakes is one of the most suitable choice. I have to admit that in this illustration, the mandarin orange flavour were not obvious as I used the wrong type of mandarin oranges. Jiao Gan (蕉柑) (Citrus reticulata Blanco cv. 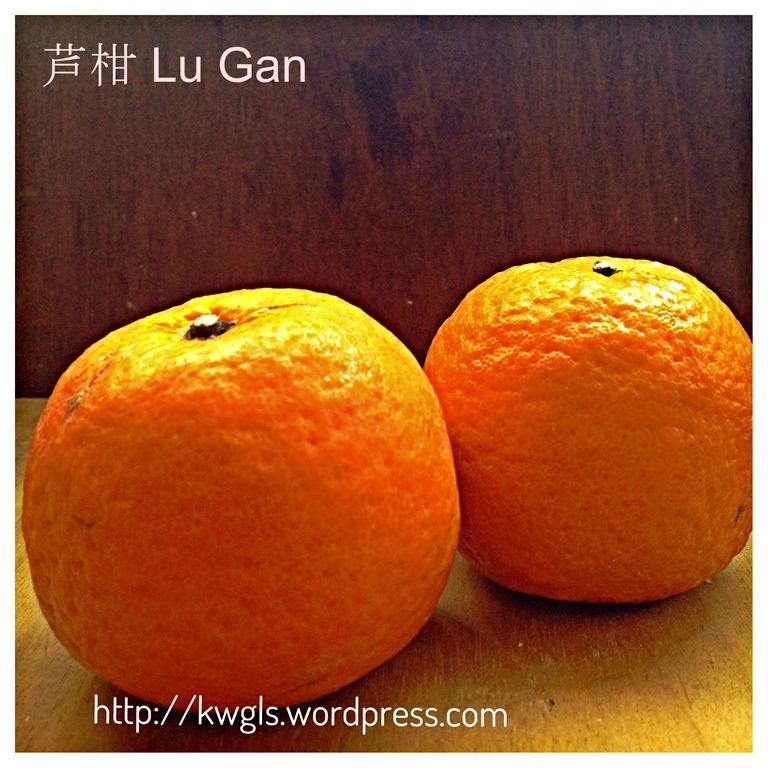 Tankan) is a better choice than the Lu Gan （芦柑）（Citrus aurantium L）. that I am using in this illustration. Jiao Gan have thicker skin, less juicy but have a stronger citrus aroma. On the contrary, Lu Gan have more juices, sweet but very plain in taste. Both are Mandarin oranges but Jiao Gan will definitely give you a better citrus aroma. Having said that, if you do not concern much about the flavour, you can just use any type of mandarin oranges juices that you have. It is equally delicious. Even plain oranges are good alternatives. 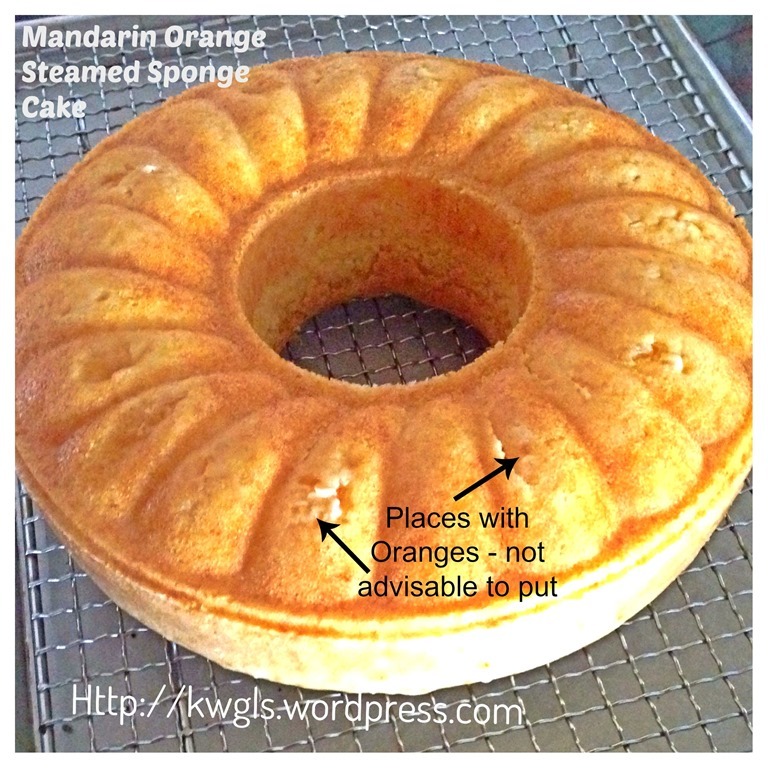 In this illustration, you will note of a piece of orange flesh in the cake. 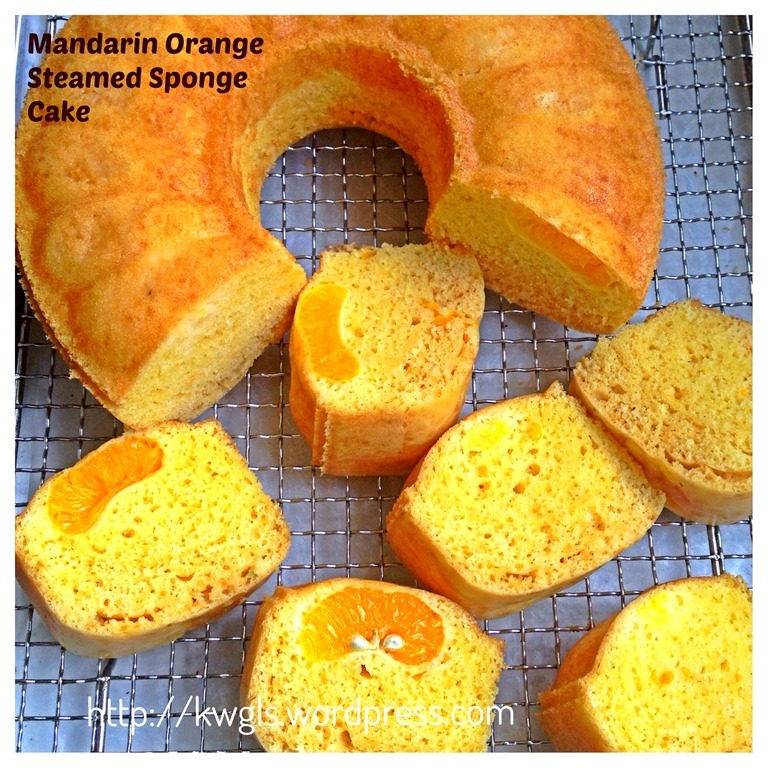 After tasting the cake, I found that it is not advisable to have the oranges as the steaming process make the mandarin oranges too soft and taste have changed to slightly bitter. 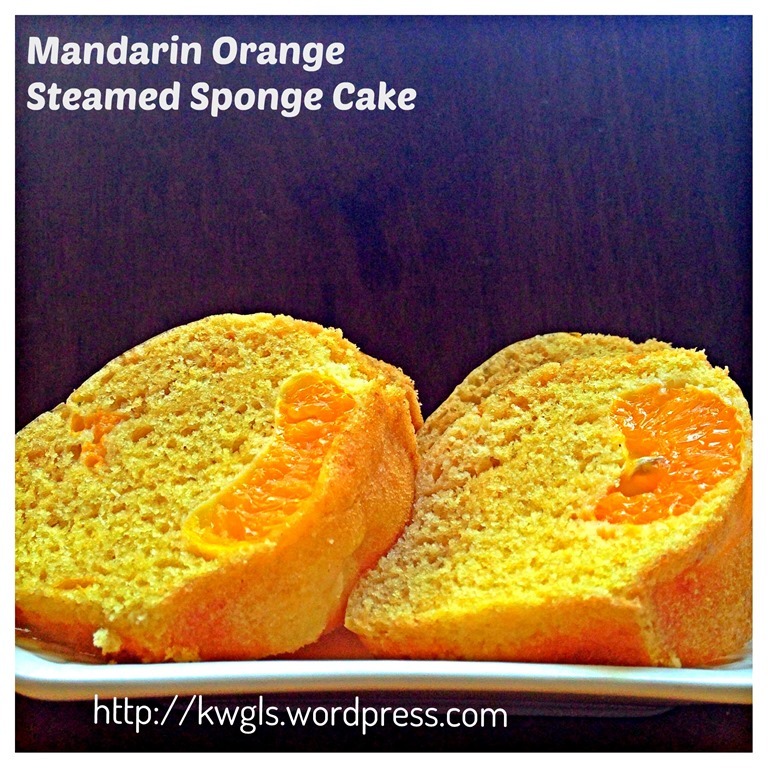 Therefore, I will not share how to put the mandarin orange flesh inside the cake. Just omit this is a better alternative. Additional mandarin oranges for decoration. 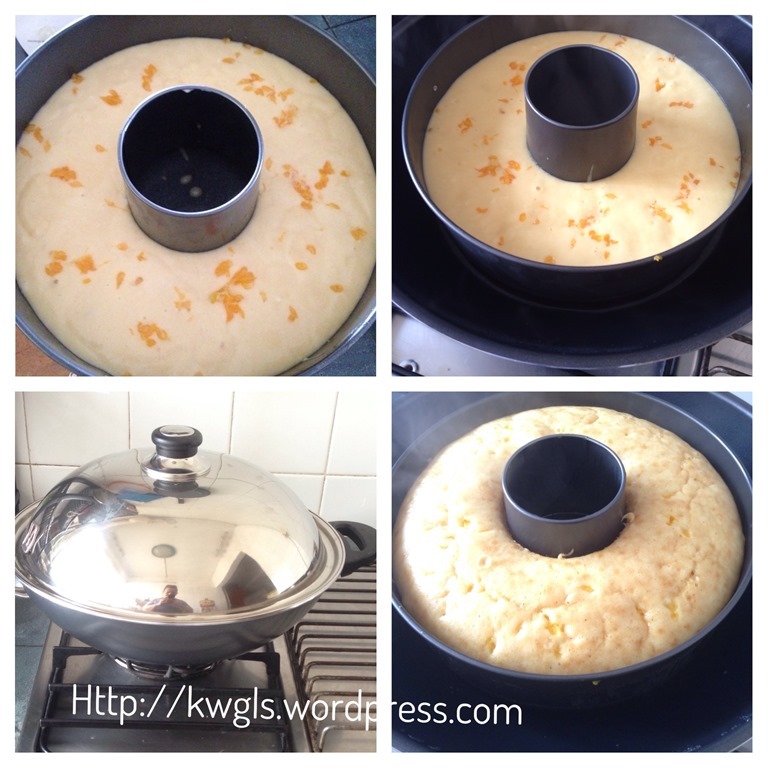 A lightly greased 9” diameter chiffon cake tin or any other types of baking cake tin . 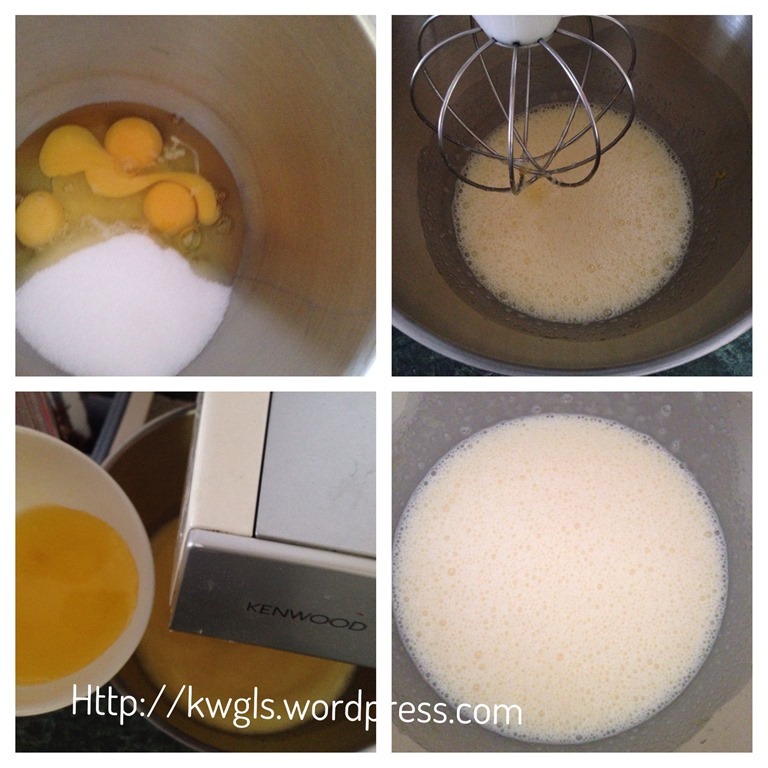 Beat the egg, condensed milk and sugar until light and frothy. Gradually add in the melted butter. Beat until well combined or when the colour turned pale. Sift in the self raising flour. 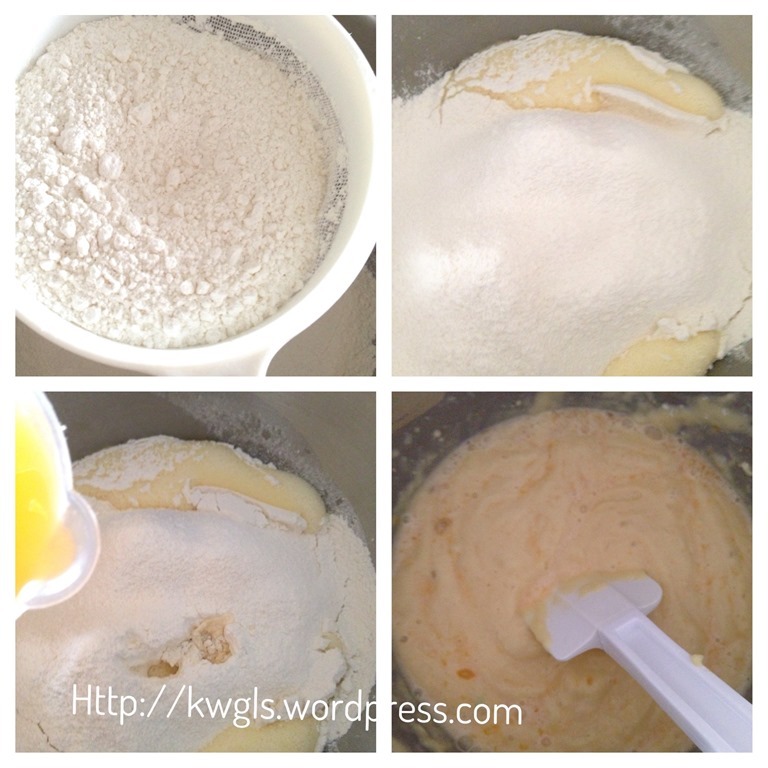 Quickly fold the flour with a spatula and add the mandarin orange juices gradually. I have this habit of counting 50 times in my folding of flour. Fold as fast as possible and ensure all is well combined and smooth. Dust with additional mandarin oranges flesh if desired. Transfer into a baking tin of your choice and steam under high heat for 25-30 minutes or until a skewer inserted comes out clean. 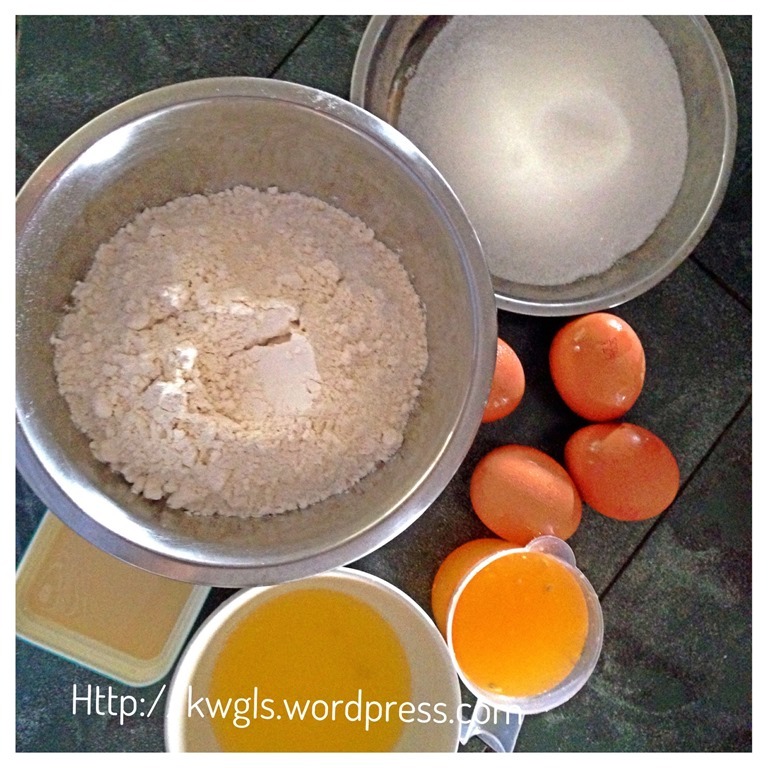 The steaming time is very much depends on the the type and size of baking tin. I have used a 9” chiffon cake tin and it took me about half an hour to steam. 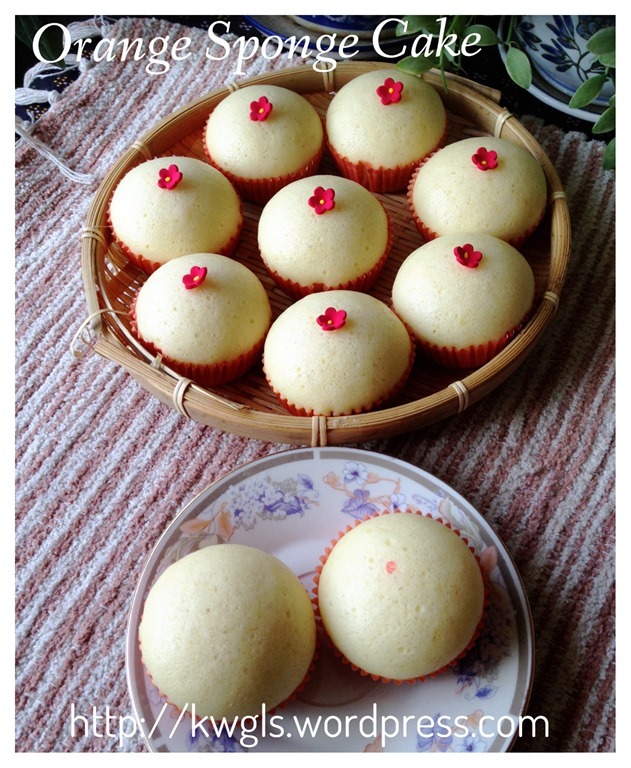 Unlike other traditional steamed sponge cake, I do not have the pressure whether the cake will smile/crack happily or not. It is just a cake designed for breakfast and tea time. 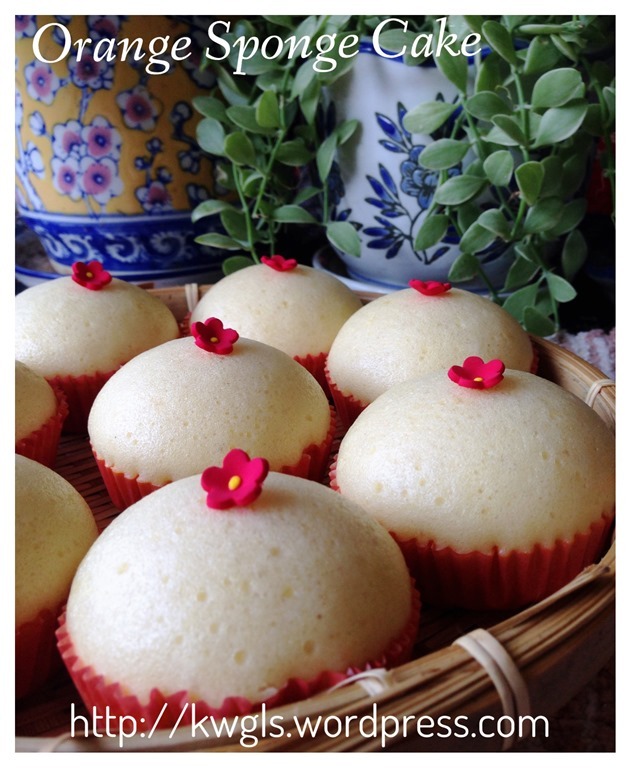 With the use of more juices and some butter, the cakes become soft, moist and aromatic. 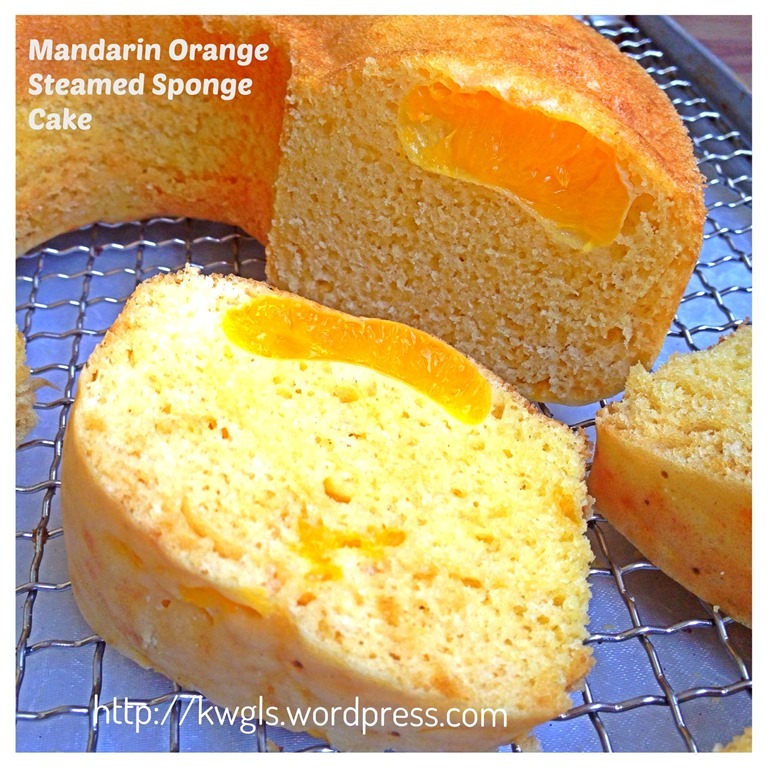 Of course it can be more aromatic if I used the right type of mandarin oranges or even oranges itself. 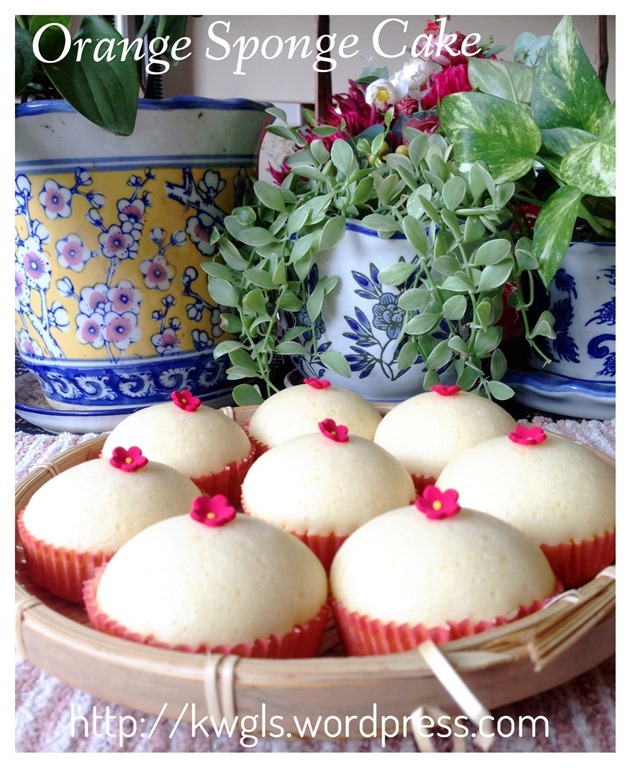 It is definitely a healthier alternative as compare with other cakes served during Chinese New Year. 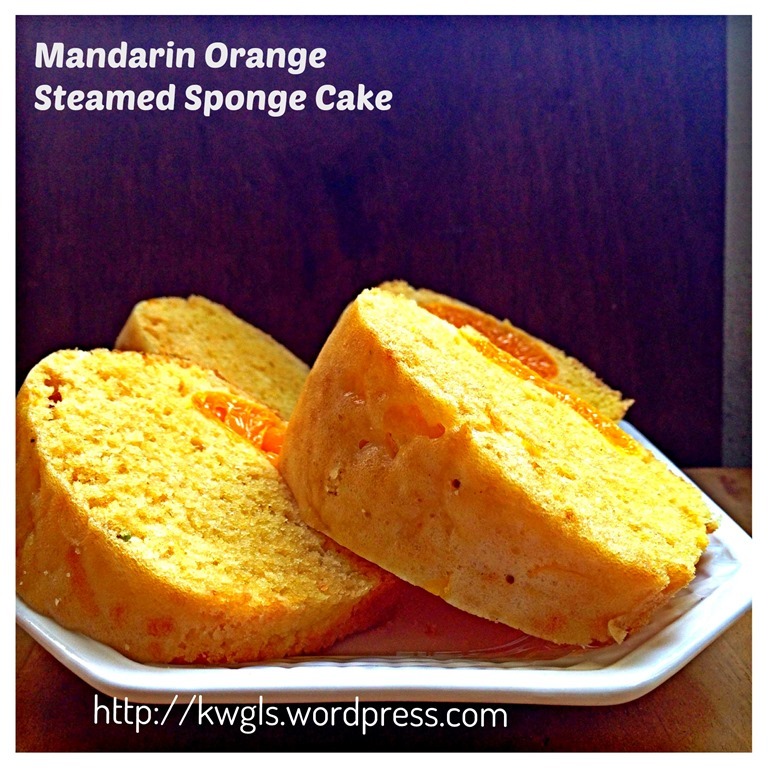 Variations are many, if you don’t like orange flavour, just substitute with mandarin orange juice with milk. Raisins can be added if you prefer. 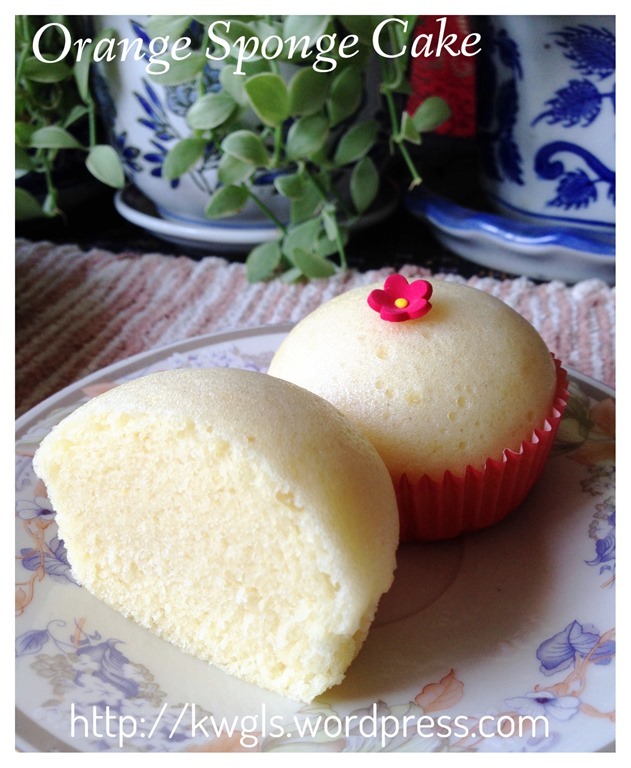 IMPORTANT NOTE: You can always use this recipe and steamed using a muffin cup or cupcakes cup. It will be faster and easier for your servings. 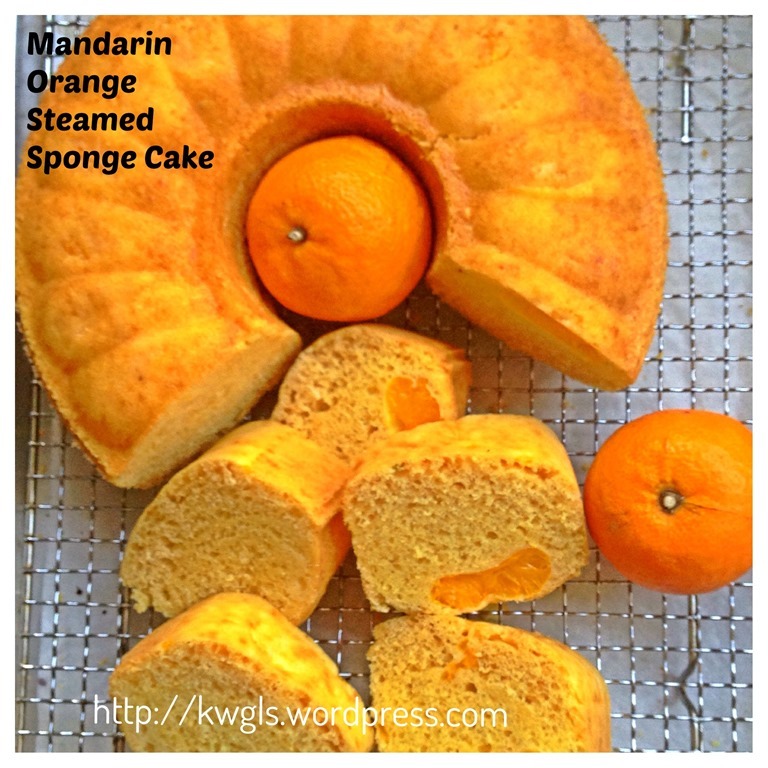 This entry was posted in Chinese and Asian Cakes and Snacks, Food Preparation Series and tagged 鸡蛋糕， 8, GUAI SHU SHU, Guaishushu, kenneth goh, KUEY NENG KO, Mandarin Orange Steamed Sponge Cake, postaday, steamed sponge cake. Bookmark the permalink. I love this Ken, I will definitely try it. 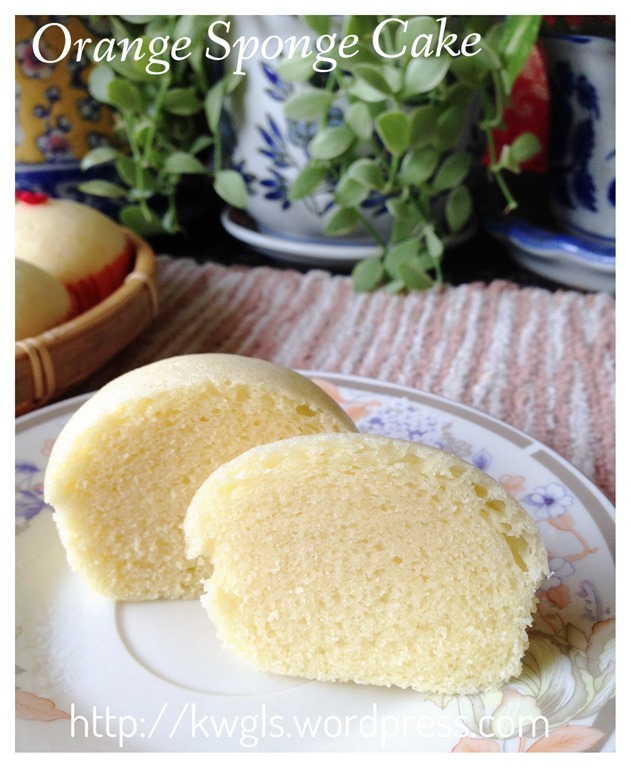 This is a great idea for a sponge cake! 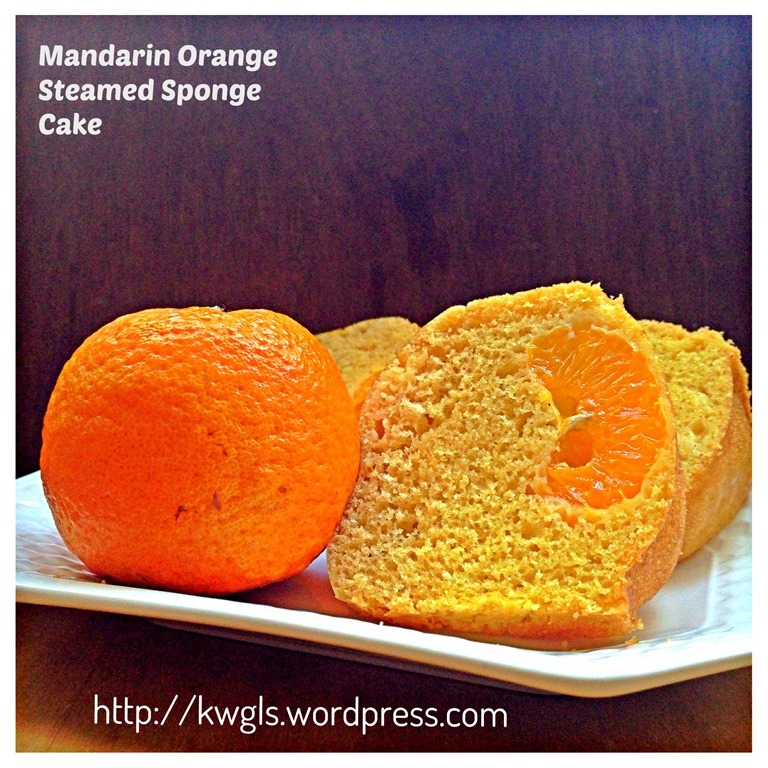 I’ve never actually had sponge cake so I think I’ll try this one. Thanks for sharing! Thanks for dropping by and hope you like it. How pretty! I love mandarine oranges! YUM, this looks like my kind of bread!! Thanks for sharing at The Weekend Retreat! Thanks for linking up to our Foodie Friends Friday Valentine’s Party and I hope you will join us at our Snack Food party this week. G’day! Never made a cake like this! Look delish!